The Computer Based Examination for recruitment of Temporary Constables (Executive) - Male and Female in Delhi Police was held from 05-12-2017 to 08-12-2017 at different centres all over the country. 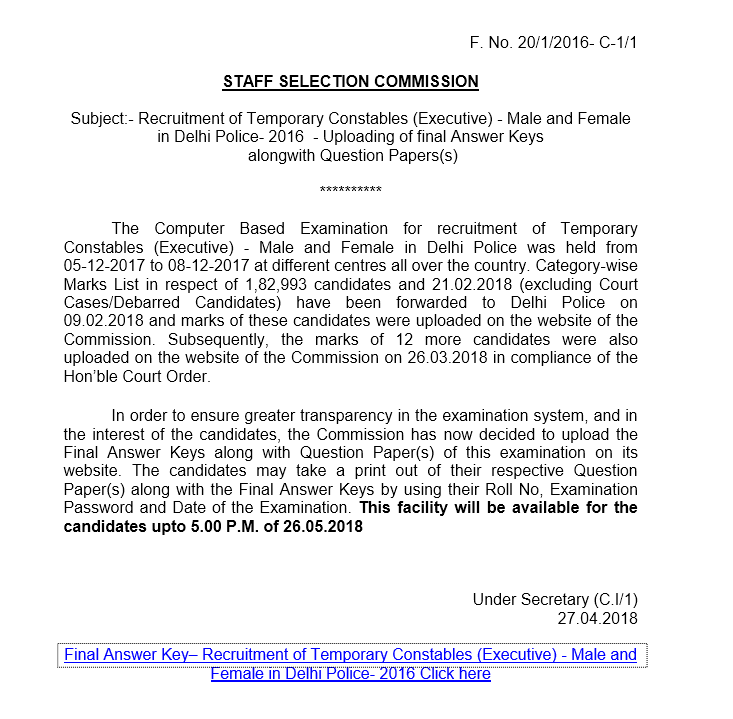 Category-wise Marks List in respect of 1,82,993 candidates and 21.02.2018 (excluding Court Cases/Debarred Candidates) have been forwarded to Delhi Police on 09.02.2018 and marks of these candidates were uploaded on the website of the Commission. Subsequently, the marks of 12 more candidates were also uploaded on the website of the Commission on 26.03.2018 in compliance of the Hon’ble Court Order.